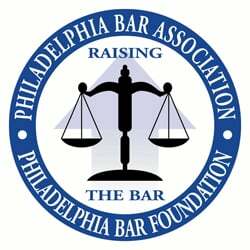 The Philadelphia Bar Foundation - the charitable arm of the Philadelphia Bar Association - has announced that more than half of the city's law firms that participated in the Foundation's inaugural "Raising the Bar" campaign have already renewed their commitment for this year. This historic endeavor raises critical funds to provide legal services to those who need, but cannot afford, help. The 2007 "Raising the Bar" campaign, begun in January, asks every law firm in Philadelphia to pledge a minimum of $300 per lawyer to public interest and other legal services organizations. In 2006 - the campaigns inaugural year - 133 firms contributed nearly $1.5 million, a 31 percent increase over the amount that firms donated individually in 2005. Halfway through 2007, 69 firms have reaffirmed their commitment to legal services by agreeing to participate in "Raising the Bar." These firms represent 3,442 attorneys. The list of firms is updated regularly at philadelphiabar.org. "The law firm community can make a difference in the lives of those less fortunate in our community by stepping up to the plate in support of the Raising the Bar campaign," said Bar Foundation President Elaine M. Rinaldi. "We need the financial support of every law firm to ensure that Philadelphia is a place where everyone has access to justice." According to Chancellor Jane Dalton, "Raising the Bar presents Philadelphia law firms with the opportunity to provide consistent financial support to sustain our vitally important and nationally recognized public interest legal service providers." "We anticipate increased law firm participation in this important initiative," Dalton added. Alan M. Feldman, immediate-past Chancellor of the Association, and Grant S. Palmer, a partner at Blank Rome LLP, are the co-chairs of the 2007 "Raising the Bar" campaign. They expect to build on last year's success by encouraging at least 150 firms to pledge $1.7 million to help assure that those who need a lawyer will have a lawyer, regardless of economic or social status. Click here to read more. The Bar Association has amended the guidelines for its member list serves. Please take a moment to review the amended rules by clicking here. Specifically, a new rule has been added regarding referrals. The Association requests that the listserves not be used as a means to obtain referrals to other attorneys in the five-county region. The Association maintains a Lawyer Referral and Information Service for this purpose, which is available to any attorney looking for a referral. Additionally, members are encouraged to include their name and contact information in their postings, and to maintain a courteous and professional tone at all times. Click here for a complete list of guidelines to the Association's listserves. The Young Lawyers Division and the Minorities in the Profession Committee, along with the Barristers Association, South Asian Bar Association, Asian American Bar Association of the Delaware Valley and the Hispanic Bar Association of Philadelphia, invites you to a joint happy hour on July 25 to present minority bar scholarships. This "summer soiree" will take place from 5-8 p.m. at Marathon Commerce Square, 2001 Market Street and will feature $2 lager drafts, $4 wine and $4 well drinks and hors d'oeuvres. Two drink tickets for the first 200 people to register. Kindly RSVP to Tracey McCloskey at tmccloskey@philabar.org. Geoffrey Jarvis will discuss recent developments in class action litigation in Europe at the Thursday, July 26 meeting of the International Law Committee. The meeting begins at 12 p.m. in the 10th Floor Board Room of Bar Association headquarters, 1101 Market St. Lunch is available for $7.50 for those members who register in advance. Click here to RSVP for this program. accomplishments of law students working in public service at a reception on Thursday, July 26. The reception begins at 5 p.m. at the offices of Pepper Hamilton LLP, 3000 Two Logan Square, 18th and Arch streets. The Women in the Profession Committee will present the program "Developing a Niche Practice" at its Tuesday, July 31 meeting. Panelists for the program include Ellen C. Brotman, a partner with Montgomery, McCracken, Walker & Rhoads, LLP; Min S. Suh, a partner, with Fox Rothschild LLP; Jeanne L. Bakker, a partner with Montgomery, McCracken, Walker & Rhoads, LLP; and Lynanne B. Wescott, a member, The Wescott Law Firm P.C. The program begins at 12 p.m. in the 10th floor Board Room of Bar Association headquarters, 1101 Market St. Lunch is available for $7.50 for those members who register in advance. Click here to RSVP for this program. The Women in the Profession Committee is seeking nominations for the 2007 Sandra Day O'Connor Award. The deadline for nominations is Tuesday, July 31. The award is conferred annually on a woman attorney who has demonstrated superior legal talent, achieved significant legal accomplishments and has furthered the advancement of women in both the profession and the community. The award presentation will be made during the Association's Quarterly Meeting in October. The committee established the award in 1993 to recognize the important contributions that women attorneys in Philadelphia have made to the legal profession. Click here to print a nomination form for the 2007 Sandra Day O'Connor Award. The Bankruptcy Committee of the Business Law Section will hold an afternoon chat with U.S. Bankruptcy Court Judge Jean FitzSimon on Wednesday, Aug. 1 at the Cherry Street Tavern, 129 N. 22 St. The Afternoon Chat series is a new initiative by the Bankruptcy Committee to spotlight leaders of the bankruptcy bar for an up-close and personal perspective on everything from legal issues and current events to careers and personal histories in an informal setting. Parcels, Inc. is the food and drinks sponsor of this Afternoon Chat. Space is limited so please RSVP early to Dawn Burger at dburger@philabar.org. The Business Organizations Committee of the Business Law Section will be sponsoring the lunchtime CLE seminar "Selected Securities Law Issues" on Monday, Aug. 6. The program will be held in the 11th Floor Conference Center of Bar Association headquarters, 1101 Market St. at 12:15 p.m. Lunch and registration begin at 11:45 a.m. Lunch is available for an additional $8.50 for those members who register in advance. Click here to purchase lunch for this program. Security identification cards are now required to access Philadelphia City Hall. Security identification application forms are available at philadelphiabar.org. Attorneys can go to Room 112 near the northeast corner of City Hall Monday through Thursday between 9 and 3 p.m. and fill out an application and have a photo taken for the new badge. The photo and application process takes just 10 minutes. Attorneys must have their Supreme Court lawyer identification card to apply for the security card. Click here to download the application form. For more information, call (215) 686-4580. Again this year, full scholarships to the 2007 Bench-Bar Conference, to be held September 28-29 at Bally's in Atlantic City, are available by lottery to Association Members who are public interest or government service attorneys. Scholarship winners will be drawn and announced on Wednesday, September 5th during a reception beginning at 5:30 p.m. at the Philadelphia Bar Association, 1101 Market Street, 11th Floor Conference Center. To enter the lottery, please submit your name and organization to Areetha Carter at acarter@philabar.org by Aug. 30, 2007. Scholarships include one night hotel room at Bally's as well as all conference fees, CLE credits and meals. A total of 7 CLE credits and 14 different courses are available at the Association's 2007 Bench-Conference on Sept. 28 and 29 at Bally's Atlantic City. 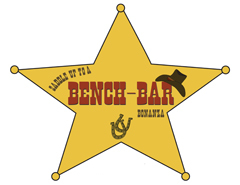 This year's conference, "Saddle Up to a Bench-Bar Bonanza," has a Wild West theme and includes a black tie and blue jeans reception on Friday evening, Sept. 28. Sponsors for the 2007 Bench-Bar Conference include USI Colburn Insurance Service, LexisNexis, PNC Wealth Management, JAMS, Veritext and Kroll. Additionally, Bally's Atlantic City is now accepting reservations for attendees. Book early for the best rates: rooms Thursday night, Sept. 27 are just $99; rooms Friday night are $144, and Saturday night rooms are $189. Call 1-800-345-7253 for reservations and mention you are attending the Philadelphia Bar Association Bench-Bar Conference to get these special rates. This year's conference is expected to bring together hundreds of lawyers and judges for two days of programming that lets practitioners and the judiciary share ideas and best practices. Click here to register online. Click here for more information on the 2007 Bench-Bar Conference. The Philadelphia Bar Association is unique among metropolitan bar associations in its commitment to a comprehensive legislative action program. Association members have opportunities to affect governmental decision-making at the federal, state and local levels. Association sections and committees have the opportunity to review city, state and federal legislation and to make suggestions regarding legislation of interest. Sections and committees are often called upon to take a proactive stance by assisting in the drafting of legislation, and are sometimes the impetus for initiating legislation. Visit the Legislative Action Center for the latest news from Harrisburg. The Association's Workers' Compensation Section will present its 7th annual Martha Hampton Award later this year. This award was named in honor of an attorney who was committed to the practice of workers compensation law. Each year a committee reviews nominations as to the attorney or judge who best exemplifies Martha's unique compassion and dedication to her clients, her professionalism, scholarship and good will with her peers. Hampton's interests went beyond the individual cases she litigated. She believed in the viability and importance of the Workers' Compensation Section and served as a co-chair of the section. Her involvement included writing informative articles to testifying before subcommittees in Harrisburg on proposed legislation. Hampton enjoyed the role she played as a mentor or educator to many of us. She also maintained close friendships among her peers. She had the ability to be a strong advocate in the courtroom and the next moment have coffee with opposing counsel discussing only personal matters not legal ones. It is this respect for people and the profession that led to the creation of this award. It should be noted all members of the bar and bench who practice workers' compensation law are eligible. This is not an award restricted to claimants' attorneys. Past winners have included counsel from both sides of the aisle as well as from the bench. This year's Award Committee will be chaired by Marc S. Jacobs (a partner with Hampton at Galfand Berger) and the co-chairs of the section from last year, Judge Patricia M. Bachman, Valerie H. Lieberman and Eric L. Segal. In addition to the award, a charitable contribution is made each year to Kids Chance by Galfand Berger, on behalf of the Section. Kids Chance offers scholarships to children who have lost a parent due to a work-related injury. Your nominations are important. We encourage your participation. Please include your thoughts for making any nomination. All nominations can be e-mailed to Marc S. Jacobs at mjacobs@galfandberger.com or mailed to Jacobs at 1818 Market St., 23rd Floor, Philadelphia, Pa. 19103. What do an elderly woman, a young child and a pro bono attorney have in common? And to give it - you don't have to dig too deep. Your donation of just $100 can help save a home, support a child who needs legal help, and ensure that the pro bono attorney who spends his or her every waking moment ensuring that they get that help can continue to make a difference. The Philadelphia Bar Foundation's Access for Justice campaign is an easy way for attorneys and paralegals to make a real difference. Last year, the campaign helped fund 28 different organizations - including Community Legal Services, Philadelphia Volunteers for the Indigent Program and the Support Center for Child Advocates - just to name a few. Each organization's application for funding is carefully reviewed, ensuring that the funds go to worthy organizations that are making a positive, lasting impact in the Philadelphia community. As our city and our Association continue to reach out to the international community, what strikes you about society's increasingly global worldview? What image captures its influence on Philadelphia and the rest of the world? The Philadelphia Lawyer 2007 Photo Contest will award a Grand Prize in the form of a $500 Capital Grille gift certificate to the member-submitted photograph that best captures the theme of "Eyes on the World." Honorable mention winners may also be selected at the judges' discretion. The contest is sponsored by The Capital Grille. Deadline for entries is Friday, Oct. 12, 2007. Photos can be either color or black and white. All submissions will be judged by a panel of professional photographers and all winning photographs will be published in the Winter issue of The Philadelphia Lawyer. Summer is the perfect time to begin compiling your entries, so remember to take your camera with you on your travels - whether they take you around the world or just around the corner. Submit entries to The Philadelphia Lawyer 2007 Photo Contest by Friday, October 12, 2007. The title of the photograph and the name, address and phone number of the photographer must accompany each entry. Digital photographs must be submitted at a resolution of 300 dpi or greater in jpeg format. E-mail digital entries to tplmag@philabar.org with "TPL Photo Contest Entry" in the subject line or mail a CD of the entries to the address below. You may also submit hard-copy entries to TPL Photo Contest, c/o Adrienne Cornwall, 1101 Market Street, 11th Floor, Philadelphia, PA 19107. Hard-copy entries must be no smaller than five by seven inches and mounted on white poster board with a two-inch border all around. Contact Adrienne Cornwall, managing editor of The Philadelphia Lawyer, at 215-238-6339 or acornwall@philabar.org with contest questions. Nominations are now being accepted for the Philadelphia Bar Association's 2007 Wachovia Fidelity Award. Nominations should be made in writing. Please include a detailed statement setting forth information and reasons why you are recommending the nominee for this award. The deadline for receipt of nominations is 5 p.m. on Friday, Oct. 12. Nominations should be sent to Tracey McCloskey, Philadelphia Bar Association, c/o Fidelity Award Committee, 1101 Market St., 11th Floor, Philadelphia, PA 19107.  It is preferred that the recipient be a member of the Philadelphia Bar Association not now in public office or directly involved with the court operations or any other public service activity. The Association's Law Practice Management Division offers committees with programs to help you manage your law office as well as a hotline to help you with staffing, bookkeeping and other issues. Contact the Law Practice Management Hotline at (215) 238-6314. Whether you are just starting your own firm or trying to grow your established practice, the LPM Division is available to help. The program features a bank of consultants available to counsel Bar Association members with both innovative and practical information on topics including marketing, management, technology and finances. Vendor and Consultant Referral Program Committee - Mary Platt at mplatt@mmwr.com and Marla A. Joseph at mjoseph@workcomppa.com. Financial Management Committee - Joel D. Feldman at jfeldman@anapolschwartz.com and Thomas A. Brophy at tbrophy@mdwcg.com. Technology Committee - Carl G. Roberts at cgroberts@ballardspahr.com and Daniel J. Siegel at dan@danieljsiegel.com. Business Management Committee - Margaret Klaw at mklaw@bernerklaw.com and Jeffrey A. Lutsky at jlutsky@stradley.com. Marketing Committee - Merritt A. Cole at colem@whiteandwilliams.com and Harper J. Dimmerman at harper@harperlawgroup.com. The Law Practice Management Division is chaired by Joseph A. Prim Jr. and Carl G. Roberts. If you need help with staffing, bookkeeping or developing your Web site, we have the consultants to assist you! Contact the Law Practice Management Hotline at (215) 238-6314. The Legal Directory 2007 is now available, and you won't want to miss the newest, most comprehensive resource for the Philadelphia-area legal community. This year's edition includes listings for more than 1,600 law firms and nearly 18,000 attorneys in Philadelphia and the surrounding Pennsylvania counties, Delaware and New Jersey. But The Legal Directory 2007 also in cludes all the indispensable information you've come to rely upon - Bar Association bylaws, contacts and committees; information on federal, state and county courts and government agencies; a judges index; corporate counsel listings; alternative dispute resolution resources; and a special business-to-business section tailored to the legal community. Once again this year, each copy of The Legal Directory will include complimentary access to The Legal Directory Online. So the information you need will be only a few mouse clicks away. Online firm and attorney listings are updated throughout the year, so you'll always have access to the most up-to-date addresses and phone numbers. Designed for non-insurance practitioner, PBI's Fundamentals of Insurance Law will provide a general understanding of insurance coverage policies and the process of presenting claims under those policies. Discover how insurance is regulated and learn about alternative markets. This 4 CLE credit (substantive) hour program will be held in Philadelphia on Tuesday, July 24, at The CLE Conference Center on the 10th floor of the Wanamaker Building, Juniper Street entrance (between 13th and Broad streets, opposite City Hall), from 9 a.m. to 1:15 p.m. Registration begins at 8:30 a.m. For additional information, or to register, click here. Earn as many as 4 credits on your computer, at your convenience at PBI's Online Campus, at www.onlinecle.pbi.org. More than 300 classes are available, including nearly 50 one-hour ethics programs. 24/7 CLE.